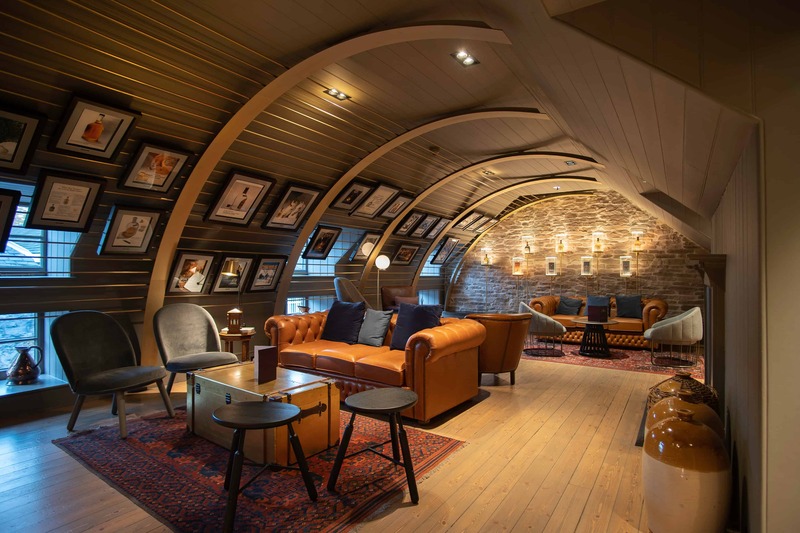 FDDS has been commissioned to design the experiences and interiors of 3 rooms of the newly refurbished Starthisla Distillery – the oldest continuously working distillery in Scotland, home of Chivas Regal. 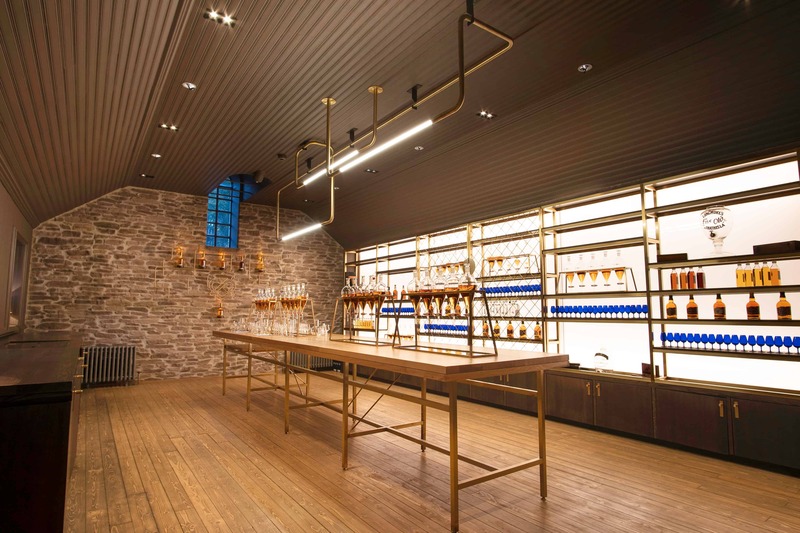 FDDS worked closely with Chivas Regal, from the creative team to the Master blenders, to deliver a custom experience and the interior around it. After learning about the process to make Strathisla single malt whiskies, guests are guided to the Tasting Room. 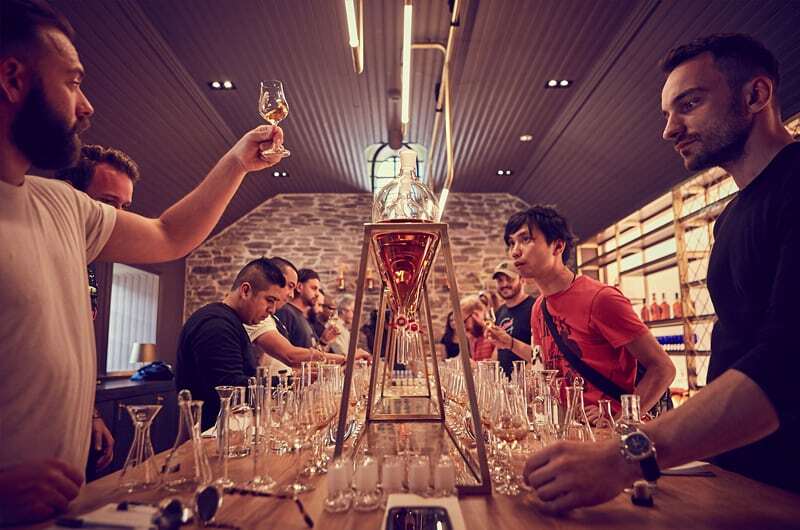 They are invited to take seats around the whisky expert who will guide them through the tasting of 3 scotch whiskies: Chivas 12, Chivas Extra and Chivas 18. 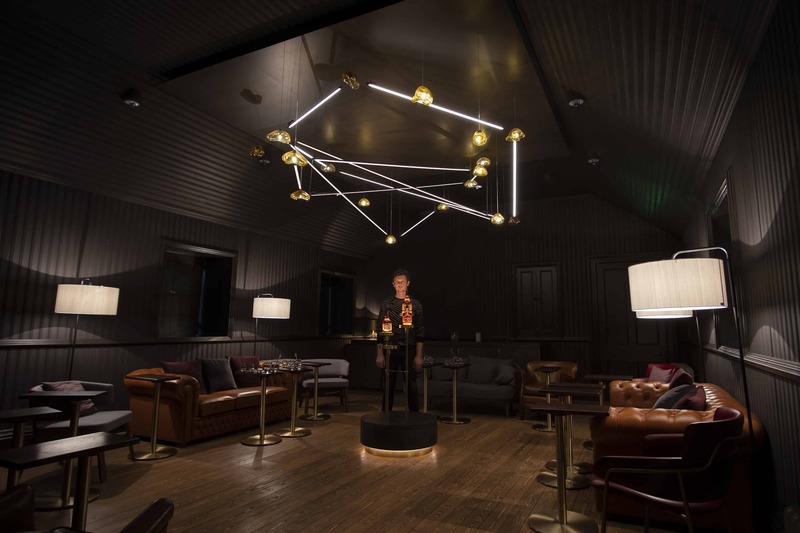 A specially created artwork, The Constellation, made of suspended, mouth-blown, amber glass bubbles, comes to life while the guide explains how to reveal the complexity behind each whiskies. 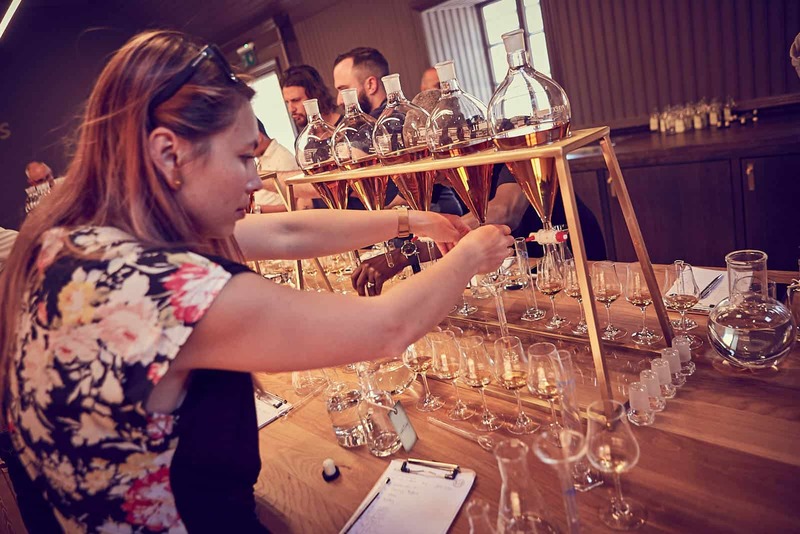 With experience, each whisky can be deconstructed in several flavours: the keynotes. 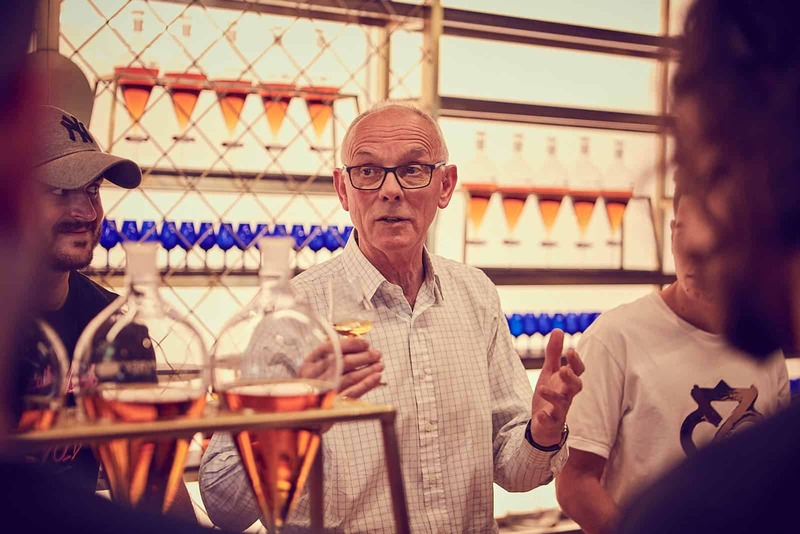 Visitors are invited first to nose, then taste the first whisky, to identify the characteristics, guided by the expert. Pear; The first flavour is represented by the first glass bubbles which gently lights up. Then the chandelier animates itself, linking one flavour bubble to another: Vanilla. The sculpture follows the rhythm of the tasting, acting as a reference point for the guests. Slowly revealing the complex network of flavours, it draws with light the constellation of the whisky being tasted. “It is interesting to notice that if the whiskies do share certain keynotes, most of them are different. It is not always easy to distinguish all the characteristics without the skills of the Master Blenders, but there are no wrong answers. Each perception is unique and personal”. – Florian Dussopt, FDDS Founder. The Blending Room offers an exclusive practical experience. An opportunity to appreciate, by your own hand, the intricacy of combining malt and grain whiskies to create a superior blended whisky. Precise tools from the laboratory and whisky samples from the cellar are brought together with the cut-glass and brass refinement of the home of Chivas. 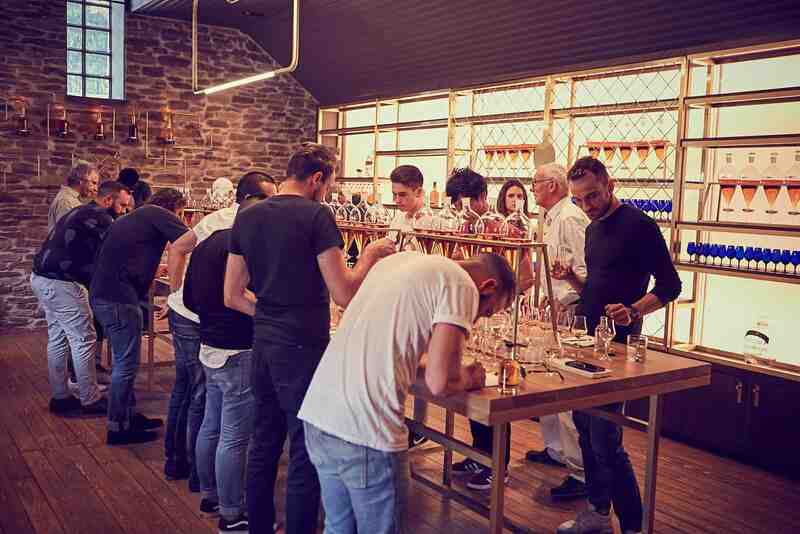 Conviviality being key, guests are sharing the impressively long workbench, to sample, analyse and ultimately blend their own whisky under the guidance of the house expert. Each combination is labelled to be gifted. The creative studio also designed and fabricated in-house the 5m long brass chandelier, to accompany the story within the details. The Lounge is a place to seat and relax around a whisky dram. The traditional angular shape of the room is enveloped by strong and graphic brass arches inspired by the barrel hoops. It provides support for a photo galleries telling the story of Chivas. At the end of the room, the brass display hosts a collection of historical bottles.